This powerful spout of hot water is not natural; it was produced when an energy company drilled into the ground. The fount of water was resealed but pressurized water proved to be quite a force. 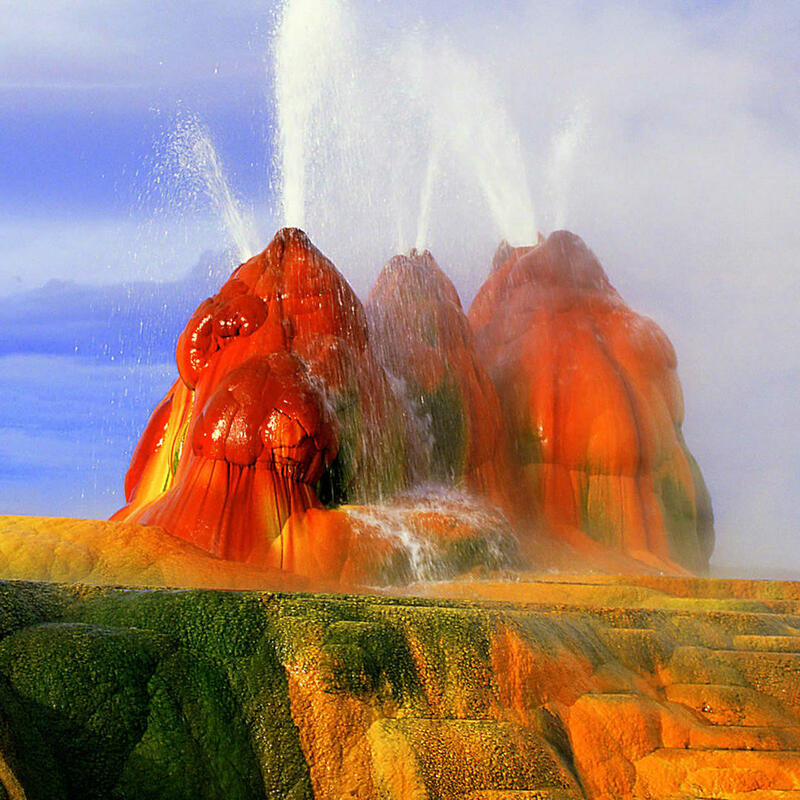 Laden with minerals, the geyser has formed a cone around it - a mini volcano covered in neon-colored algae. The effect is an area that looks like it belongs on another planet. Apparently the geyser is located on private property and not accessible by the public.